The 'L' in CSL stands for Lightweight - and BMW invested much time and money in making it so. The rationale behind the CSL was to homologate BMW's 6-cylinder coupé, for European Touring Car Group 2 racing. The list of the car's light components was a long one! There were skinny body panels, a fibreglass back bumper, and racing latches on the bonnet. 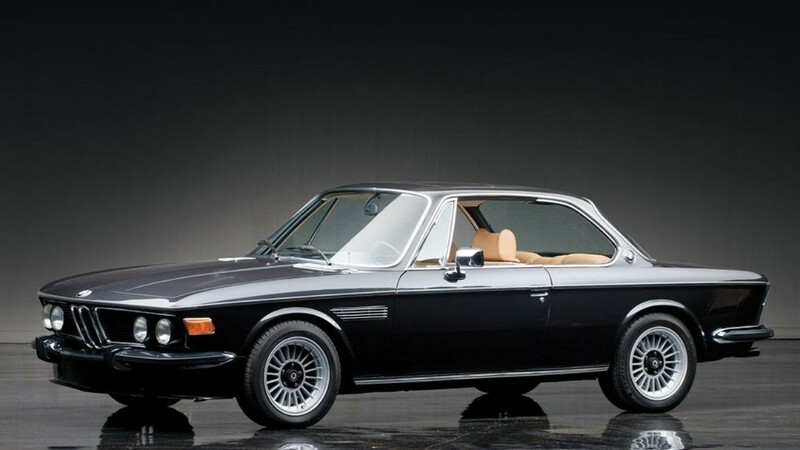 In addition, the CSL had Plexiglas side-windows, and alloy-skinned opening panels. Interior trim, too, was grist to the weight-saving mill. And under-body rust protection, and sound muffling - or the lack of them - all contributed to the super-svelte package. In the end, 400lb was shaved off the base model. As it turned out, the CSL's top speed was not much changed - remaining at 135mph. Acceleration, however, was vastly improved. To cope with all this hard-won 'grunt', BMW stiffened the suspension. Bilstein gas shock absorbers incorporated state-of-the-art progressive-rate springs. Wheels were chunky Alpina 7″ alloys. Chrome wheel-arch extensions were added, to keep things street-legal. The first CSLs came with a 2,958cc engine - normally-aspirated, and producing 180bhp. In '72, BMW took the bore out to 3,003cc - qualifying the coupé to compete in the 3-litre Group 2 series. In the process, output was upped to 200bhp. Bosch electronic injection was also fitted - in place of the twin Zenith carburettors. Thus far, the CSLs had all been left-hand drive cars. But '72 saw a right-hand drive CSL released in the UK. Known as the 'RHD City package', the car had 'boy racer' performance, as well as comfort in abundance. In this case, BMW restored most of the weight-saving features they had previously so painstakingly removed! But that was not enough for all British buyers! There were those who complained that the Scheel bucket seats were difficult to climb into. And the CSL's lightweight alloy panels - more prone, as they were, to accident damage - were not to every Brit's taste. Nor, indeed, was the price tag - more than both an Aston Martin or Jensen. Just 1,095 cars were built. Ultimately, though, the BMW 3.0 CSL was an 'homologation special'. And CSL coupés would go on to have great success at race-tracks around the world.